Ginger: Beyond the Crystal comes to Nintendo Switch on November 17th, while a boxed retail version will be available in 2018. The 3D platformer by Drakhar Studio will see the light on Nintendo hybrid console, after pleasing the fans of the classic genre last year on PC, PlayStation 4 and Xbox One. 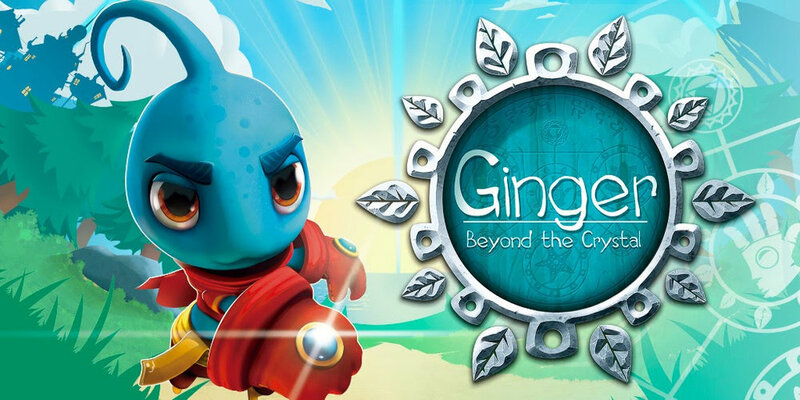 Madrid, Spain, November 6th 2017: After delighting fans of 3D platforms on PS4, Xbox One and PC last year, the adventure ‘Ginger: Beyond the Crystal’, developed by Drakhar Studio, is about to launch on Nintendo Switch thanks to BadLand Games. The title, starred by the amusing character that gives name to Drakhar's creation, will be available for Nintendo hybrid console just before Christmas. The game will be available in digital format on the eShop starting on November 17th; physical version will arrive on 2018. All-time Nintendo users, the first gamers that experienced a "new dimension" in the platformer genre thanks to Super Mario 64, will be more than pleased to see Ginger getting launched on Switch, but they won't be the only ones that would enjoy the title created by Drakhar. Ginger: Beyond The Crystal it's an adventure game and a 3D platformer, in which the player will have to rebuild a magical world devastated by the explosion of a crystal. Ginger will have to find the damaged crystals and purify them thru the godess. But he's not the only survivor, he'll have to find the rest of inhabitants and rescue them from other worlds, where they're kidnapped. Ginger will have to face a lot of enemies, traps and platforms on his journey through fifteen different levels with more than 200 side quests. Great visuals and an epic soundtrack will take players trough three different dream worlds, where they'll find different characters that will give them special skills that will help them solve each task. Also, the game has 15 different bonus levels that will put the players skills to test. For Luis Torres, CEO of Drakhar Studio, one of the best new features of the game is "joining farming and simulation genres to classic adventure/platformers like Spyro, Zelda or Donkey Kong Country". Moisés Otero, ‘Ginger: Beyond the Crystal’ production designer, highlights that "besides being a classic 3d platformer, the game has modern mechanics, simulation, quests, adventures, small village rebuilding and even has a new game mode called Old School, harder tha normal mode, specially made for classic games fans".